Are you considering updating your old single windows or double glazing in an attempt to keep warm and lower bills at the same time? With Quotatis you'll be able to assess up to four firms to get the best deal in Swansea. Double glazing is amongst the most popular insulation approaches householders can take advantage of. The basic structure is two panes of glass separated by an efficient gas spacer. This spacer, commonly Argon, Xenon or Krypton, is still so heat can't move through and escape the house. Consequently, heat is instead kept in your home, keeping you warmer throughout the year. In the same manner, during the hotter summer months heat is kept out of your home, making certain you're cooler. Therefore, you're in a position to decrease heating bills by up to £200 year after year. The environment benefits are also rewarding. Because there's little need to turn up the central heating boiler temperature, less carbon dioxide emissions are created and emitted into the environment. To begin benefitting from efficient home windows and reduce your heating bills each year, complete our online form and compare quotes from as many as 4 trustworthy double glazing companies. Swansea is a seaside city to the south west of Wales, carrying a population of about 239,000. This makes it the 2nd most populated city in the nation, behind the capital. As a significant city in Wales, Swansea's household prices are likely to be more costly when compared to the rest of the country, consequently it's fundamental to keep hold of this value by making use of vetted contractors for your property upgrading work. Installers of replacement windows (A ranked windows, secondary replacement windows, replacement unit windows) in Swansea. They will supply you with quotes in Swansea for the installing of double glazed units. Quotatis are wholly commited to getting you the best deals in Swansea by comparing and contrasting more than one hundred businesses. Project: Replacement window for a double-glazed Staybrite window fitted 20 years ago. Size of window 160x100, 90x60 opening window at top. The sale advisor, Gavin, was very nice and friendly with us and help us to make the right choice. Very good and reliable company, and excellent quality and customer service. Very helpful and good customer service. Only one company in contact, when we were led to believe there may be 4. When rep did call he found it difficult to get to a price during the time we could spare for appointment, so a waste of an afternoon all round. Quotatis helped me to find the perfect company according to my needs. We noted 5,427 requests for property double glazing quotations in Swansea. Of these quotation requests the number of double glazing quotes in Swansea was 50. Quotatis would have been able to match these customers with up to four suitable installers who were available for work in Swansea at that time. Request a free home survey from reputable companies in Swansea. The pie chart underneath indicates the UK's populace based upon regions. Britain's total population is higher than 62 million, with the biggest proportion of residents in the South East, Greater London and North West regions. The table below the pie chart displays the UK's populace in regions as a figure. As you can see, both the South East and Greater London possess greater than eight million occupants, whilst Northern Ireland and the North East have the fewest inhabitants. The graph just below reveals the overall number of solar PV installations within Swansea. Solar power panels have grown in popularity mainly due to the Government's rewarding feed-in tariff incentive, which pays out for every single unit of environmentally friendly electrical power created. Join these homeowners and start generating your own electricity today. The UK property market has slowed slightly throughout the last ten years as more people choose to stay put rather than relocate. This is primarily because of the significant costs associated with moving and people are choosing to build conservatories or transform rooms in the home to get extra space. The information below illustrates the house market for the last 7 years and how many homes have sold in Swansea. Because of the large expenses related with moving home, many people are now looking to stay put rather than relocate. 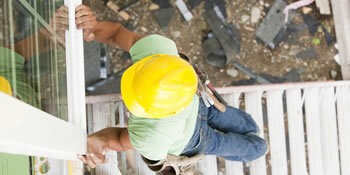 Home improvements have become much more popular as people look to improve their property. Have a home improvement project and need a recommended professional? Quotatis will help you find the best company in Swansea and nationally, so you get the best possible value for money. Simply search for your project and we can find you up to 4 quotes.